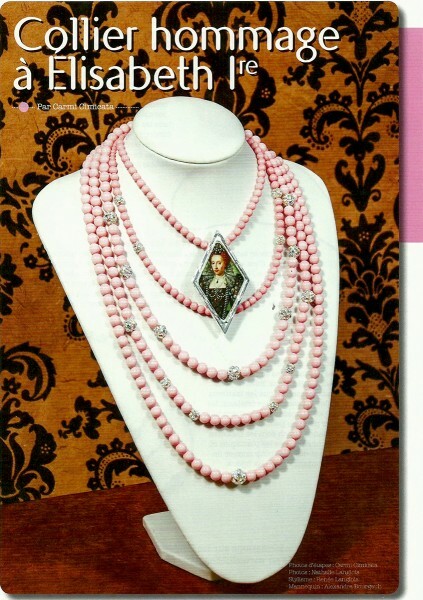 The “Elizabethan Inspired Pearl Tiered Necklace” is featured in the winter issue of Perles et Cetera magazine as a four page step by step project. This is the english translation. If you have ever studied more than one painting of the Elizabeth the 1st, you would have to take note of the many pearls that she wore throughout her hair, clothing and on her personal items. She literally had hundreds of pearls on her person. She was a Queen known for her love of clothing and it is documented that she had over 2000 gowns created. Pearls were widely available in Elizabethan times and I am certain Queen Elizabeth kept the pearl collecting and stringing industries busy. If a queen wears pearls, so will all the members of her court along with anyone wanting to appear well dressed in her company. 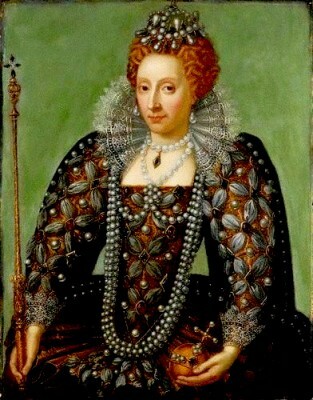 Elizabeth’s designers would have used real pearls. Seeing so many draped in row upon row of strands reminds me that many of the current statement necklaces have been inspired by jewelry designs over 200 years old. Imagine if Elizabeth would have had access to the new glass and coloured pearls? Would she have incorporated the neons, pastels or other colour palettes into her clothing? I believe she would have. She had many unusual and one of a kind dresses made. These would have been assembled and worn for one-time only special events. Surely a bright yellow pearl necklace would have been desired? 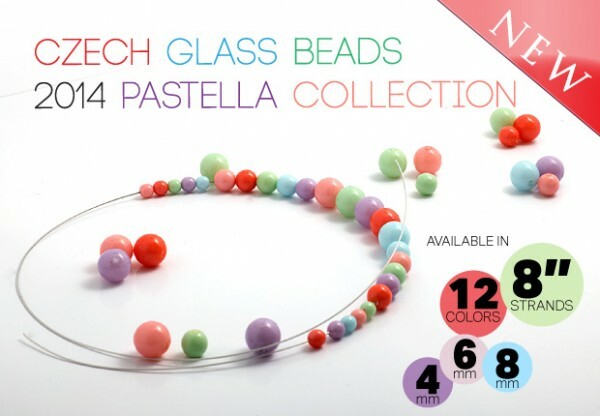 I decided to create a necklace for her featuring Dazzle-it Vintage Pink glass pearls. Glass being much more affordable, I knew I could design a necklace with many draped strands without fear of going over budget. 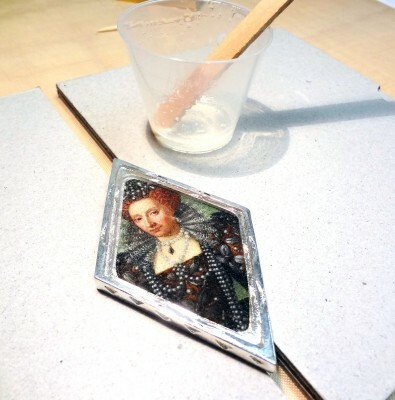 I also created my own resin filled bezel pendant featuring Elizabeth the 1st as a focal point for my necklace. My necklace features pearls, rhinestone beads and a resin filled bezel I designed featuring a portrait to Queen Elizabeth 1st. 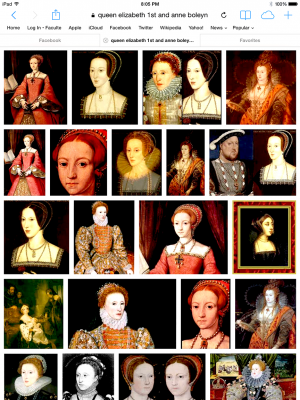 A google search of Queen Elizabeth shows us many paintings and portraits along with some portraits of her mother Anne Boleyn. This painting enlarged here is a favorite and features so many pearls. I printed and cut out a copy of the painting and placed it into my bezel. I covered the image with resin. When my bezel was ready I gathered all my supplies for this project. 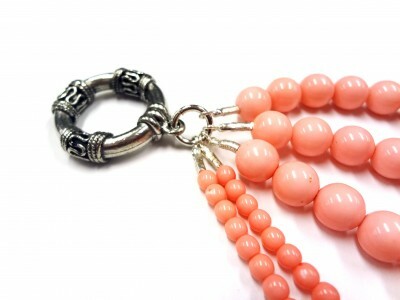 The vintage pink pearls look so wonderful gathered in a group. 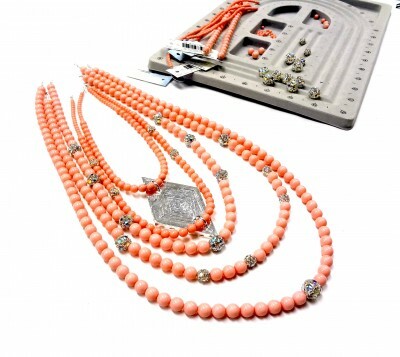 I worked with three sizes of pearls along with three sizes of rhinestone beads. The back of my Instant Glam bezel has two attachments. I strung my pearls through these opening. It took some time to string all my different strands. I used a beading board to help me choose where to place the rhinestone beads. With five strands to link, I was careful to use a thicker jump ring to attach my pearls to my clasps. 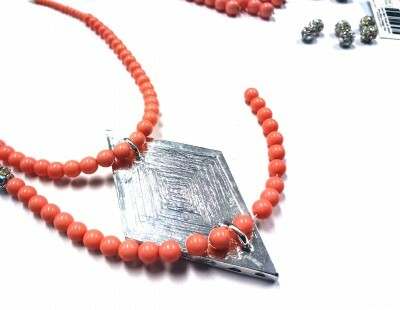 This is a simple stringing project, but the pearls and beads create a stunning result. I am quite certain I will feel like royalty when I wear my necklace!